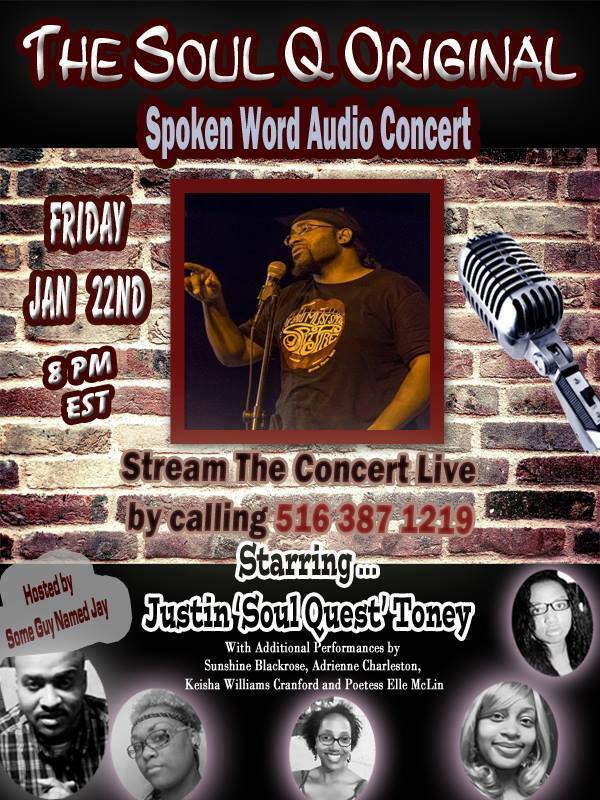 Poet, Author and Spoke Word Entertainer Justin "Soul Quest" Toney will headline The Soul Q Original Spoken Word Audio Concert on Friday Jan 22nd at 8 PM EST. 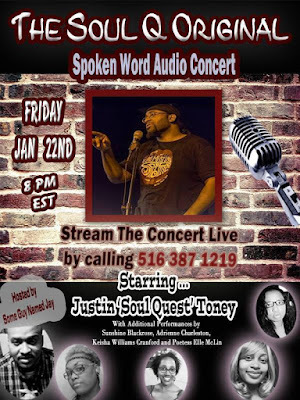 Hosted by Some Guy Named Jay! 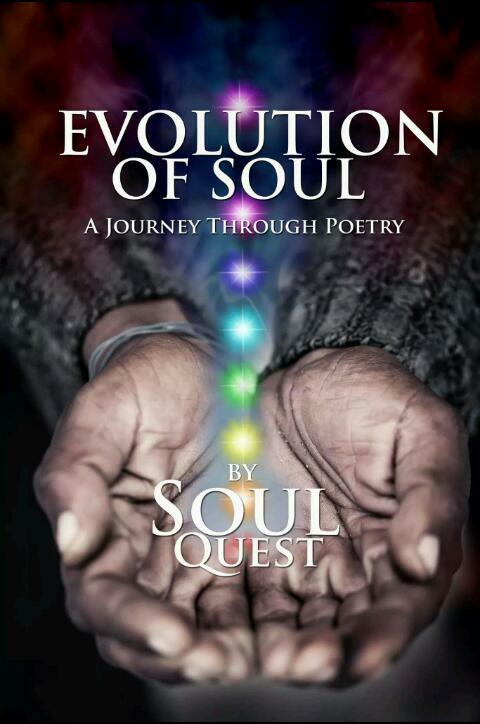 The concert will also include performances from Poetess Elle McLin, Keisha Williams Cranford, Adrienne Charleston and Sunshine Blackrose (Aliscia Melton)!